No matter what your credit score looks like, you need a place to live. But if you’re struggling with bad credit, having your rental application chosen out of many can get tricky, especially if you live in a competitive area. Luckily, you don’t have to let a low credit score get in the way of nabbing your next apartment. By strategizing your search and preparing some key documents in advance, you’ll significantly improve your chances of finalizing your next move-in date. Before you start applying for a new apartment, get your personal finance situation sorted out to make sure you can stay on top of your obligations. Start by getting free copies of your credit reports. Since many landlords run a cursory credit check as part of the application process, it helps to have a look at your credit history to know what kind of information they might see. Make sure everything is accurate and note any negative items you might need to address later on. It’s also wise to know what your credit scores are. Some landlords may only look at your credit history to see if you’ve had a previous eviction, but most will look at your credit scores. 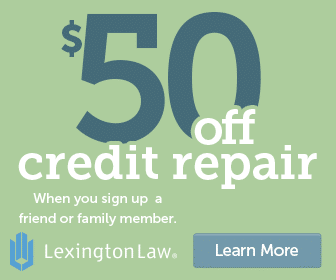 It may not be the deciding factor, but having a bad credit score will definitely influence their decision. Make a budget to determine your ideal apartment price range. Your first priority is to take care of your existing bills and then assign an amount to groceries, savings, entertainment, and other variables. Whatever money is left over from your paycheck each month is how much you have to spend on your apartment. However, your rent to income ratio should be no more than 35% and landlords will be leery if yours is higher. To find out this number, simply multiply your annual salary by 0.35 and divide that number by 12. 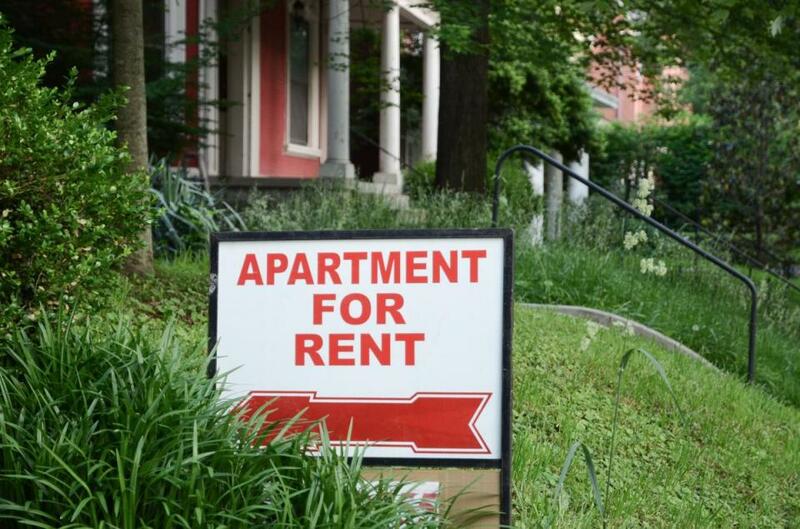 The answer you get is the maximum amount you should spend on your rent each month. That means if you make $50,000 a year, you should spend no more than about $1450 a month on rent. If you have bad credit, consider spending even less to make your application more attractive to landlords; it shows you have minimal financial burden and are more likely to pay your rent on time each month. When you’re apartment hunting with bad credit, there are several ways you can make your application stand out from your competitors, even those with better credit than you. First, offer to move in early. A shorter vacancy between tenants (or none at all) means more cash in the landlord’s pocket, which is extremely attractive. Similarly, agree to sign up for a longer lease. Staying for 18 months instead of 12 saves the landlord from the extra hassle of posting the apartment for rent in just a year. Just as with moving in early, a longer lease decreases vacancy time and saves money. Finally, be prepared to provide a larger security deposit than what the landlord requests. That gives him or her more faith that you’ll pay each month because you risk losing more money. It also provides the landlord with more compensation in the event you do bail on your rent. Attaching a letter of recommendation along with your application can go a long way. Ideally, you should use a past landlord who can attest to your willingness and ability to pay the rent every month. If you’re new to renting or have had a spotty past with making your rent, ask an employer for a recommendation as long as they can attest to your character and punctuality. It’s even better if you handle money at your job so you can demonstrate your trustworthiness. Ask for several copies of your former landlord’s or employer’s recommendation letter in case you end up applying for several apartments. This prevents you from being slowed down during your hunt while you wait for another signed copy. Also, include the reference’s contact information so that a prospective landlord may call with any follow-up questions. Even if they don’t, listing that contact info adds a level of legitimacy to the letter. In addition to a reference letter, you should also consider including a letter of explanation in regards to your bad credit. This can be especially helpful if there is a legitimate reason for your bad debt. Perhaps you experienced a bout of unemployment and got behind on your bills. Or maybe you were in an accident and became overwhelmed with medical debt. Even if you simply had a few irresponsible years of overspending, it can’t hurt to admit you made a mistake. Just be sure to also point to what has changed in your life, whether you now have a stable job or have slashed your credit card debt and make better financial choices. If your bad credit is just a number on a piece of paper, it’s easy for a landlord to glance right over it and throw your application in the trash. But if there’s a story and reason behind your bad credit, you have a better chance of connecting with that person and getting a positive response. If you have a positive history of making rent payments, consider signing up for a rent reporting service. For a monthly fee, you can have current and past rents confirmed and submitted to TransUnion. This isn’t part of your traditional credit score but is a supplementary section available to landlords. When they go to pull your credit information, they can then see each month of payments, so even if your credit score isn’t great, they know you’re responsible when it comes to paying your rent on time. There are a number of different services available, each offering slightly different features. You’ll likely pay a flat fee to have your past payments confirmed. To have current payments registered each month, you might pay a monthly fee or a percentage of your rent, depending on the service you choose. If you live in a large building or work with a sizeable property management firm, they might already have a similar service in place. If not, ask if they’ll consider implementing one to help streamline the rent collection process. To help get through the rental application process, narrow your apartment search down to those managed by the actual owners. A professional property management company has more rules set in place. So if your credit or rent to income ratio is borderline, they won’t have a lot of leeway to select your application. However, working with an individual owner comes with a few different benefits. First, they’re more flexible with the approval process. Yes, they might have a set of guidelines they use to help narrow down their list of applicants. But ultimately, the final decision is up to them. That brings us to the second benefit of working directly with the owner. It’s easier to make a personal connection with someone who is emotionally invested in the success of the rental property, not someone who is merely clocking in each day as a property manager. So when you tour the house and find you have something in common, or explain the hardship you endured that led you to bad credit, you’re more likely to have an emotional reaction from an owner compared to an employee. 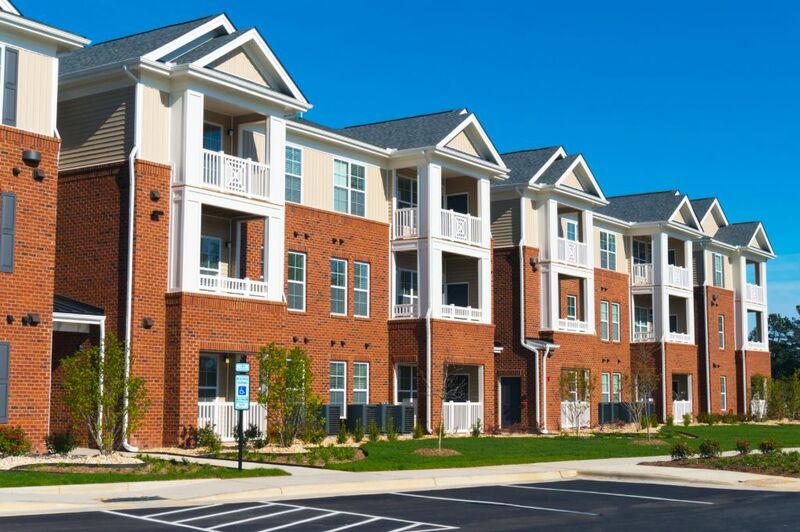 Apartment complexes typically require a credit check on all applications and they will most likely turn you down if you have bad credit. If you know you’re dealing with poor credit, your best bet is looking for properties that are owned by individual landlords who usually don’t pull your credit. No matter what anyone says, money is a powerful motivator. If you’re financially able to, consider bringing your checkbook to an apartment showing and be prepared to provide a security deposit on the same day. It shows the landlord that you’re serious about getting the apartment and that you have the resources available to quickly move through the process. It also helps to quell any lingering doubts about your creditworthiness. Don’t try this move if it will completely deplete your cash savings, especially because you’ll likely need the first month’s rent soon after you sign the contract. But if you have existing buffer in your savings account and are financially prepared for your move, this can be an impressive maneuver. This last step actually involves two tips for getting an apartment with bad credit. The first is getting a roommate. Not only should this save you money, it can also help strengthen your application if your roommate has a good credit score. A landlord is less likely to worry about one person’s credit if the other one seems trustworthy. After all, you are the company you keep. And who knows, maybe some of those good financial habits will rub off on you. Another way to help get an apartment is to apply with a co-signer. This person doesn’t intend to live with you but agrees to be financially responsible for your payments with you. That being said, it also means that if you become delinquent in your payments, any consequences also apply to your co-signer, including lawsuits and negative credit ratings. Don’t make this decision lightly because you’ll be responsible for someone else’s credit, not just your own.